The Genealogy and Research Center at the museum offers one of the most sophisticated genealogy research libraries in Southside Virginia. The Genealogy and Research Center is an excellent means to help fill in the gaps of one’s family tree and learn more about the general history of the Town of South Boston, Halifax County, and other surrounding areas. All you have to do is ask! Wednesday – Friday: 10 a.m. – 4 p.m.
please contact the museum at research@sbhcmuseum.org or call 434-572-9200. Since the founding of our Genealogy and Research Center nearly two decades ago, volunteers and staff at the South Boston-Halifax County Museum have undertaken numerous projects to expand the collections to better serve the public. Click on the tabs below to learn more about some of our most recent projects and collection areas. For the last several years, the Genealogy and Research Room have collected historic newspapers generated by local publishers. 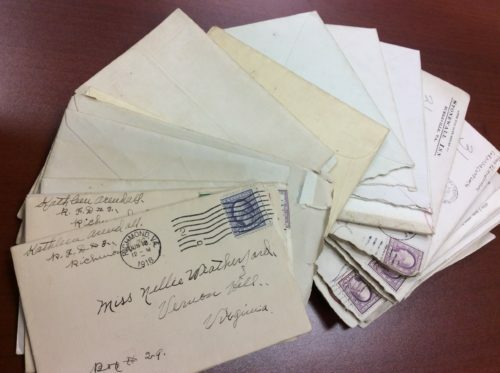 As of April 18, a new batch of historic papers was sent to the Virginia State Library for preservation and digitization. A copy of these images will be available to the public in the Research Center. 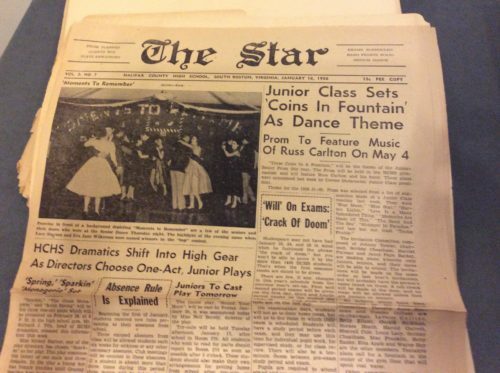 The Research Center is interested in any papers published by the Gazette-Virginian before 1960 and any newspapers published before the year 2000 by the News and Record or the South Boston News. If you have any newspapers that you wish to donate, feel free to contact us within the time range and the publisher of the newspapers. 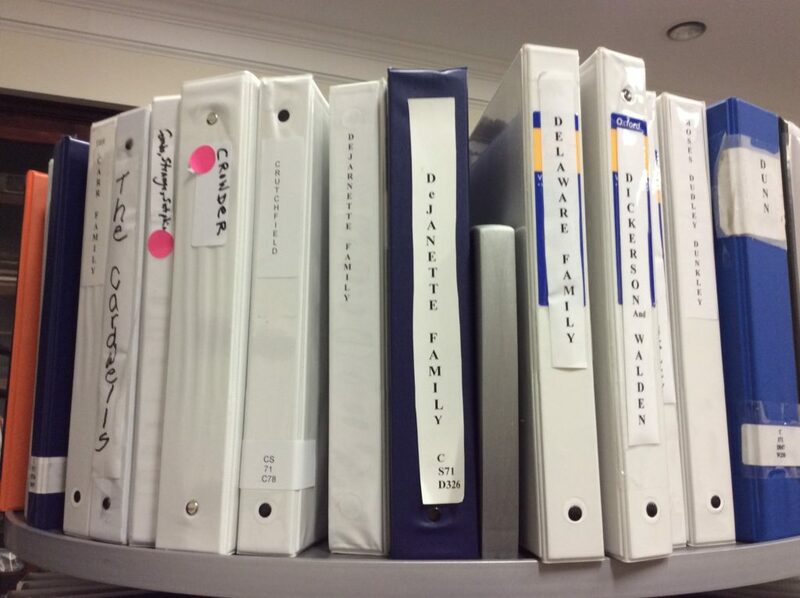 Letters, obituaries, diaries, photographs, ledgers, and more can be found in the Genealogy Files of our Research Center. Volunteers over the last ten years have worked diligently to compile dozens of family histories. The histories recorded and the research material provided is a wonderful resource for any person wanting to begin a genealogy research saga. Thousands of images have been captured on film, glass, and tin ever since the art of photography made its way to Southside Virginia in the late 1830s. The Genealogy and Research Center has been gifted several hundred photos since the museum was founded in 1982. The style photography within the museum’s permanent collection ranges anywhere from Daguerreotypes and Tintypes to modern digital images. A collection of images that have been provided by the local residents to create our gallery known as the “Wall of Faces.” The “Wall of Faces” is a gallery of Halifax County residents presented in photographs that predate 1950. Can you find your distant ancestor? 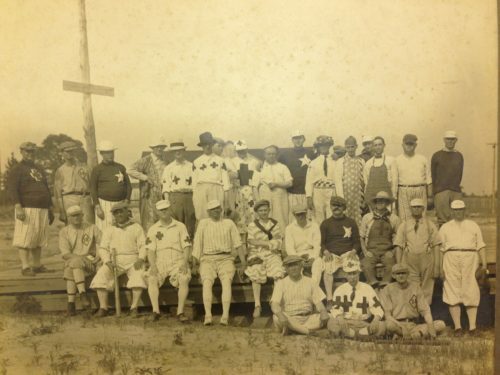 The Genealogy and Research Room’s collection of photographs is ever expanding. The Research Center welcomes anyone who would like to help us identify individuals in some of our more historic collections. If you are interested in donating photographs to the museum, feel free to contact us during our business hours or by our email: research@sbhcmuseum.org. Over 1,300 books have a permanent home on the shelves of the Genealogy and Research Center. A visitor can look up information about the history of South Boston, Halifax County, Southside Virginia, and parts of North Carolina. 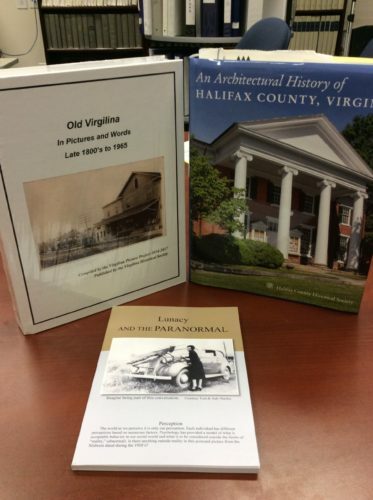 Many of these books contain information about vital records of the area from the 1700s and 1800s, special topics such as Halifax County’s African American history, and the research center maintains a special collection of books written by local authors. More than 100 surnames can be found in 94 collected volumes of family histories in Halifax County. These volumes cover Halifax and the neighboring counties. Found within many of the compiled works are family trees, copies of original letters, and photographs. In addition to the Research Center’s collected works, we are also home to over seven dozen published books on families from Halifax County. Surnames for this collection include Barksdale, Crowder, Dunn, DeJarnette, Estes, Farmer, Lawson, Overton, Ragsdale, Spencer, Weatherford, and Whitlow just to name a few.